We have an awesome opportunity to acquire supplies for our guests! We have been invited to participate in the Firefly Clean Up Project this year. We need people willing to go up to Dover and help on Monday the 18th at 9am. We have a couple of trucks and need helping hands! 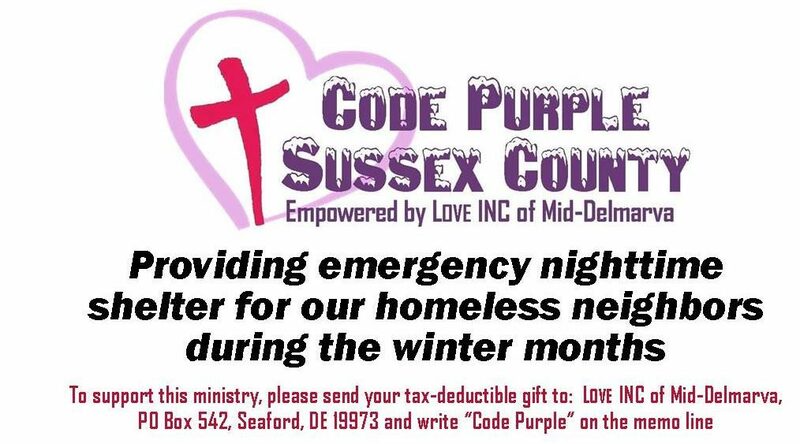 If you will be able to help us, please email us at codepurplesussexcounty@gmail.com or text 302-519-0024 and let us know asap! Breakfast and lunch will be served! We will provide water as well! Previous PostFinal days open! We will be open Saturday 24th, Sunday 25th, and Monday 26th.Next PostPreparing for our 5th season! !